January 10, 2019: Rolls-Royce Motor Cars has achieved the highest annual sales in the marque's 115-year history, with 4,107 cars delivered to customers in over 50 countries around the world in 2018, and continues to generate a positive contribution to its shareholder, the BMW Group. 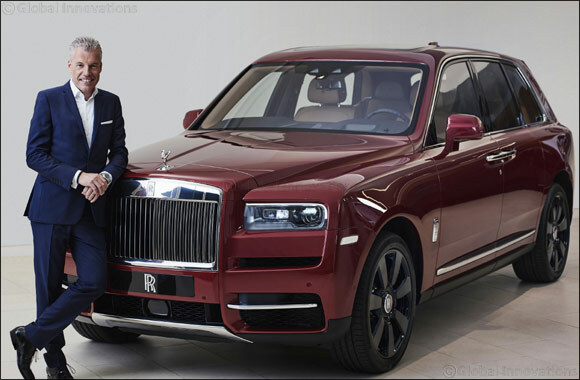 In a year of multiple records, the world's foremost Luxury House also enjoyed unprecedented demand for its Bespoke creations, and launched the new Cullinan – the Rolls-Royce of SUVs – to great international acclaim. The Americas remained the company's largest market in 2018. Sales also grew across all regions during the year with buoyant customer demand across the model range. Phantom was a major growth driver, flanked by the very contemporary and seductive Wraith and Dawn models. Rolls-Royce is Bespoke. The freedom to choose, create and commission beautiful objects is one of life's great pleasures and Rolls-Royce is, by far, the world's leading manufacturer in this regard. Through its Bespoke capabilities, Rolls-Royce offers customers near-limitless opportunities to bring their own personal vision to their motor car, reinforcing the marque's position as the world's leading Luxury House. In 2018, Rolls-Royce's specialist craftspeople delivered some of the most ambitious customer commissions ever undertaken at Goodwood, taking Bespoke design, engineering, materials and methods to new heights of technical and aesthetic brilliance. Rolls-Royce Cullinan has completely redefined the luxury SUV. The new model received an ecstatic reception from the world's media at its launch. The very first few cars were delivered to customers in time for Christmas and the forward order book is filling well into the second half of 2019. The year also saw a record intake of 23 new entrants to the company's highly successful Apprenticeship Programme. Since its launch in 2006, more than 100 candidates have completed the remarkable transition from total beginner to confident, highly-skilled specialist: most are still with the company, many in senior technical and supervisory roles.